Is Retiring at the Average Age a Smart Move? U.S. Census Bureau data shows that the average retirement age in the United States comes is around age 63. 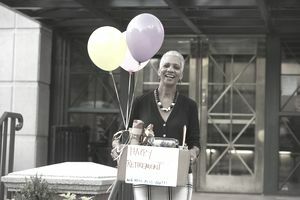 Age 63, however, would be considered an early retirement age as far as how your Social Security and Medicare benefits are determined. In fact, U.S. Census Bureau data reveals that people experience an average retirement length of approximately 18 years. American retirement expectations may take into account this average retirement length from the Census. While young Americans aged 18-29 expect to retire at 63, a 2018 Gallup survey says that the average American predicts retirement at age 66. Average retirement age varies by state. In states with a higher cost of living, such as the New England area, the average retirement age is higher. People work longer so they can afford to retire in their state. In states with high unemployment, the average retirement age is actually lower. People who can't find work must take retirement earlier than they desired. One of the areas with the earliest retirement age is the Appalachian region. The map below shows a breakdown of the average retirement age by state. Social Security uses the term full retirement age in place of what most of us would think of as average, or normal, retirement age. Full retirement age, abbreviated as FRA, represents the age at which you receive your full amount of Social Security benefits. Your year of birth determines your FRA. Anyone turning age 62 in 2017 or beyond will have an FRA that ranges from age 66 to age 67. If you claim benefits before your FRA, you receive a reduced benefit, and if you claim benefits after reaching FRA, you receive an increased benefit. Medicare benefits begin at age 65. If you retire before age 65, you will need to have a plan in place to pay for private health insurance until you are eligible to join Medicare. Regardless of your age, if you are within five years of when you think you'll want to retire, you should start planning now. Build up cash reserves, develop projections based on various ages to start Social Security, and figure out how much you'll need to spend each year. Don't wait until the year you want to retire to start this planning. The more you prepare, the better off you'll be if unemployment forces you into retirement earlier than you had planned. If you want to retire early, and early means any time before the average retirement age, you'll need to plan for many more years in retirement than the average person would need. You could spend 25, 30, or even 40 years in retirement. There are several things to consider before you retire too early, such as how you will pay for health care costs, your longevity (how long you may live), and what you'll do with your time. You'll also want to evaluate when to start Social Security, and how to begin consolidating retirement accounts to make your financial situation easier to manage. Retirement represents a big change in lifestyle. Many people benefit most from a gradual transition out of full-time work to eventual full-time retirement. Doctors and other professionals, such as accountants or attorneys, often have the ability to reduce their work schedule to four days a week, then three days a week, and so on. If you can arrange this, it allows you to continue to use the skills you have acquired and work many years past the average retirement age but at a slower pace. If you have not saved enough money, extending your retirement age from age 62 to age 65 can have a positive impact on the financial success of your retirement plan. One of the reasons is that Medicare begins at age 65, and, prior to that time, paying for health care on your own can be expensive. In addition, by working longer, you have three extra years to contribute to your savings instead of withdrawing from your savings. For those who plan on working past full retirement age, think carefully about when you will start your Social Security benefits. Some people think they can double dip and start Social Security early while also continuing to work. However, if you begin benefits early, you may be subject to the Social Security earnings limit, which will require you to pay some benefits back if you make too much money. As people are now living longer than ever, it's worth holding off on retirement until age 70. Delaying your retirement for a few years can mean less financial worry once you reach it. Then, you can relax and truly enjoy your retirement years.